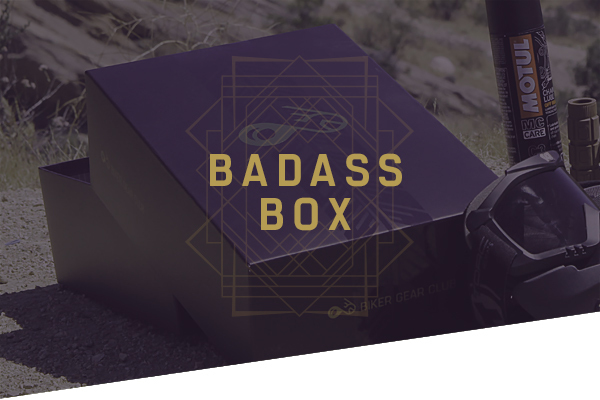 Holiday Gift Guide for Bikers - Curated box of gear for you and your bike. 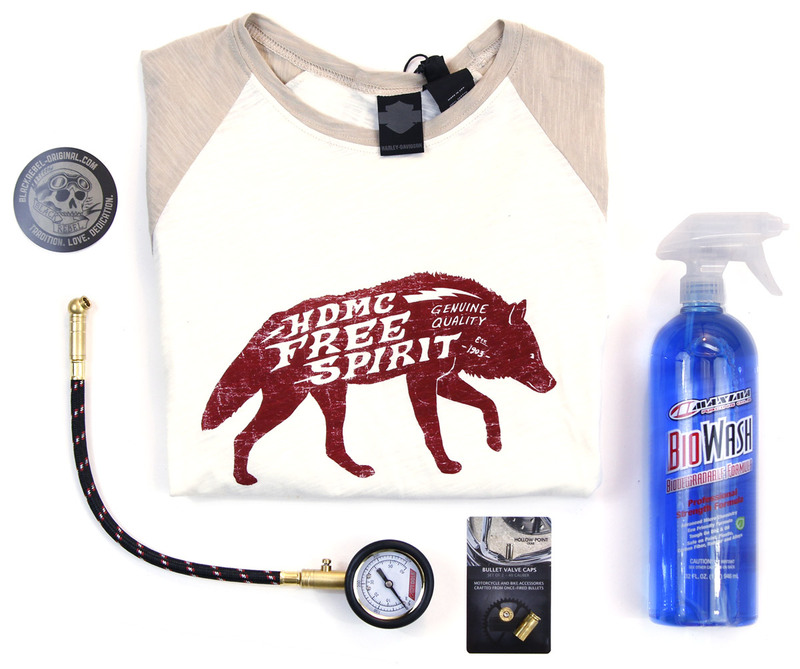 Customize your gift to what type of motorcycle & style your rider likes to ride. You can even just send one box. Cancel anytime! 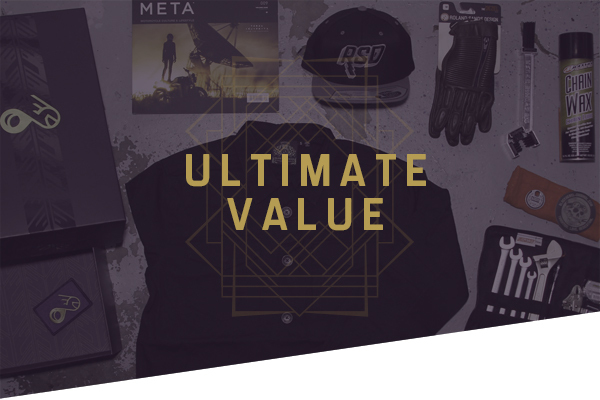 Include a custom message with their gift subscription. 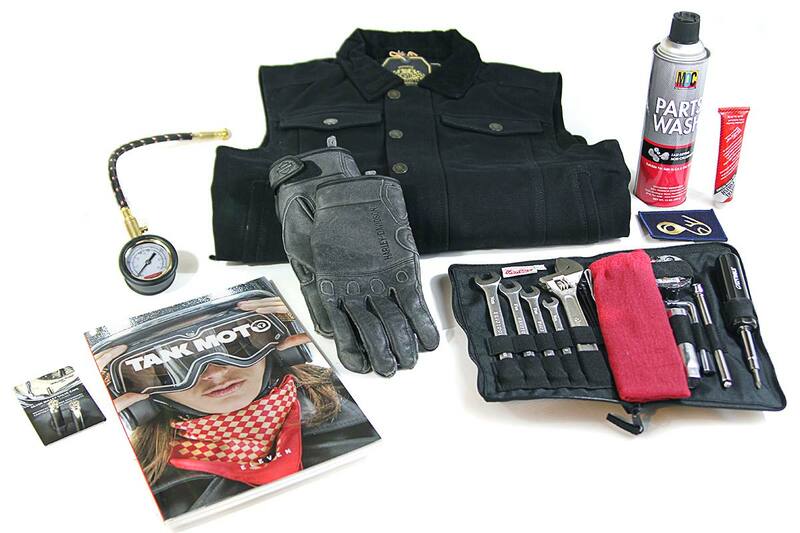 Your biker will receive their gift in the mail and they can enjoy their new gear. 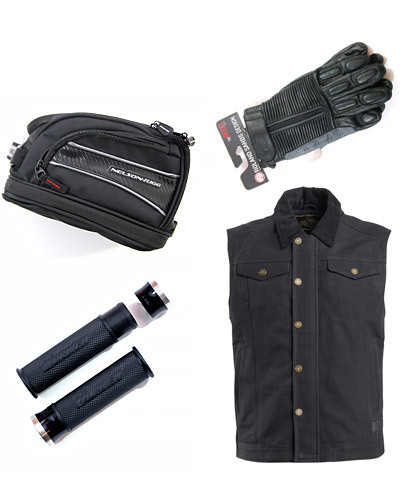 Premium motorcycle gear and apparel, delivered to your biker’s doorstep once a month or every 3 months. Enjoy flexible subscription plans for any type of rider. Easy to cancel anytime — So you can just send one box. 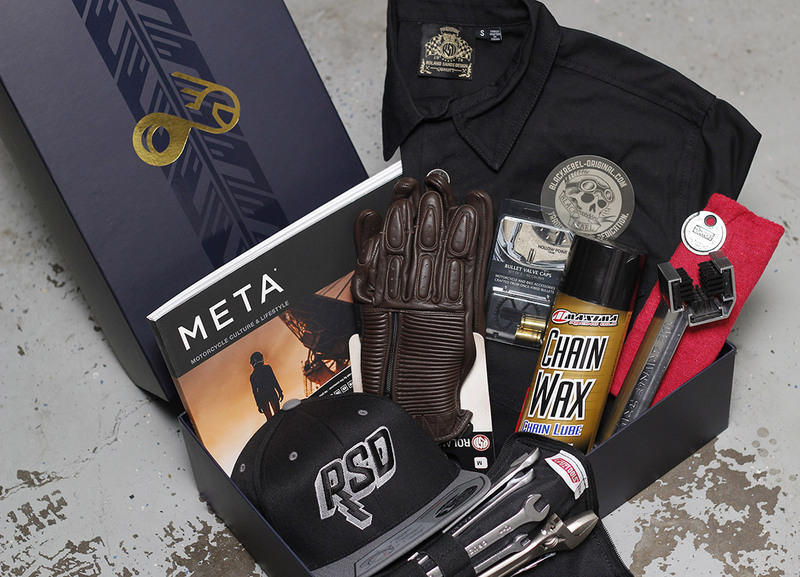 Experienced riders curate your box — So you don’t have to guess what gear to buy. Sent to any address in the U.S. — Free Shipping for orders over $100. 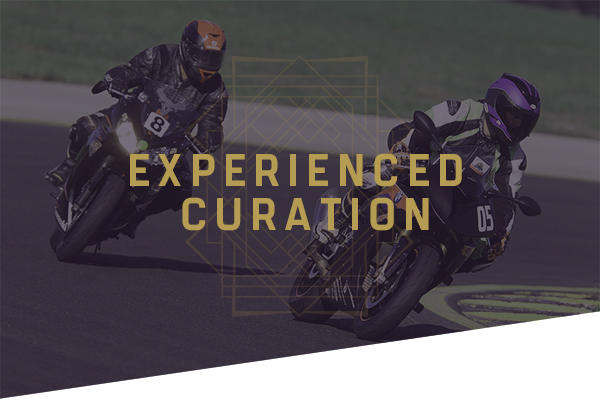 Items carefully curated for vintage bobber & cafe racer bike modders and restorers. and ride standards, cruisers, baggers and sportsters. If you ride a sport touring, supersport or supermoto bike this is for you. 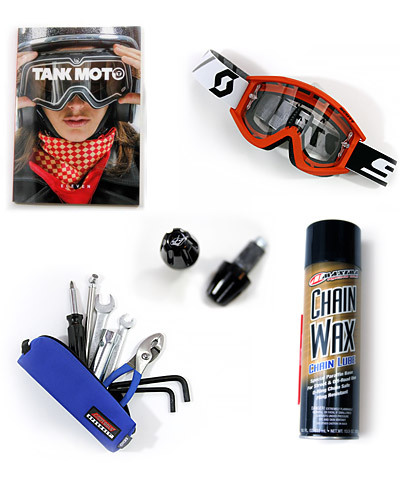 Moto gear carefully curated for adventure class bike riders and dirt bikers. We carry the top brands in motorcycle apparel, parts and accessories while always expanding by finding and trying new brands of gear for you. 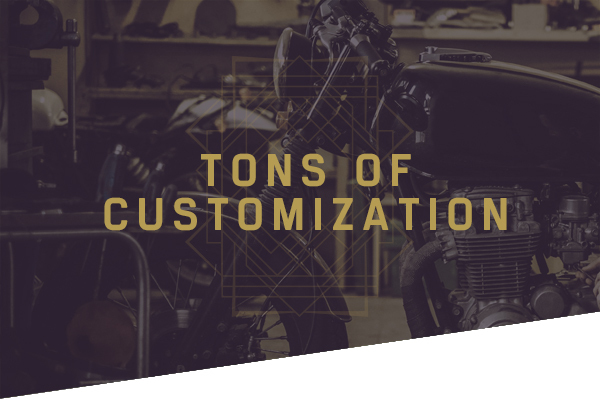 Pricing is setup based on our ability to source unique motorcycle items in bulk. We then pass the savings on to you. We offer bulk discounts if you are ordering for 4 or more riders. Reach out and contact us if you would like to know more about how you can gift the whole gang.